Health knowledge without appropriate application and potential behavior change has little value. 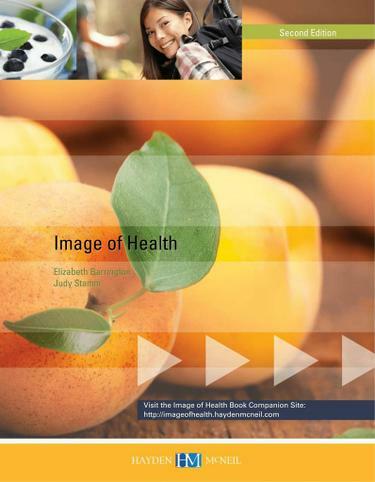 Image of Health by Elizabeth Barrington and Judy Stamm addresses that notion head-on. By moving beyond traditional pedagogy, this text engages and empowers students to understand their health and related issues to motivate and inspire appropriate behavior change. Image of Health includes a comprehensive presentation of content across a broad range of topics, imparting a holistic view of health. Through its innovative presentation of the material and relation of the subject matter to everyday life, this application-based text will engage the student in active learning to encourage accountability and responsibility for behaviors and the impact they might have on personal health. The text is augmented by an online Book Companion Site (BCS) that provides student learning ancillaries including power point presentations, flashcards, practice quizzes, a glossary and other resources.